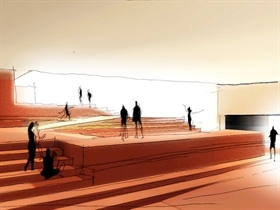 MWAI's international competition entry for the design of a new community centre/event space in the “Biblioteca degli Alberi (Library of Trees)" park located in Milan. The town of Weimar in Germany owns a unique collection on the background, history and after-effects of Staatliches Bauhaus, which was founded in 1919. In 1995 a temporary Bauhaus museum was set up in the town. The Longwood Hub project is a strategic masterplan, tourism strategy and museum concept for the grounds and surrounding area. 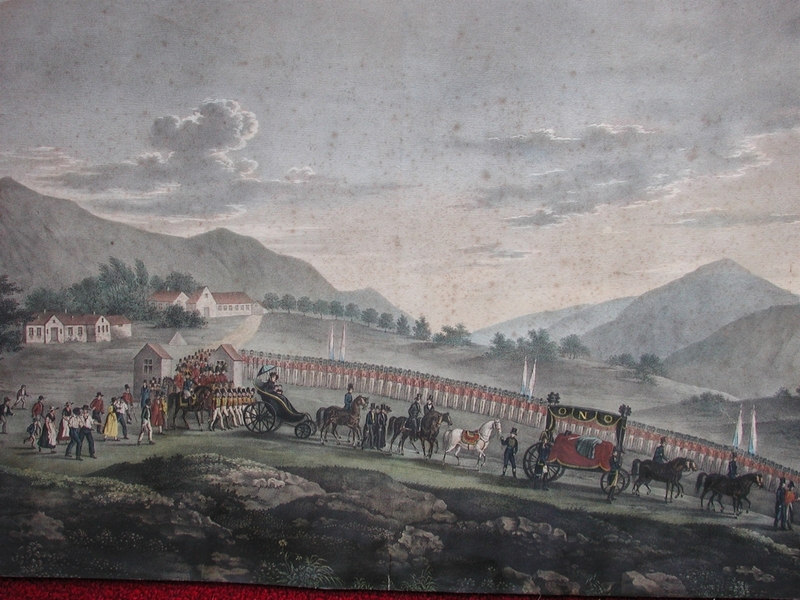 The island of St Helena is a remote British Protectorate located in the South Atlantic Ocean, notable as the place where Napoleon Bonaparte was imprisoned by the British in 1815. RIBA competition entry for new flood-proof house design. The 'flamingo house' steps out of the flood plane by sequentially raising living accommodation around a central stair. 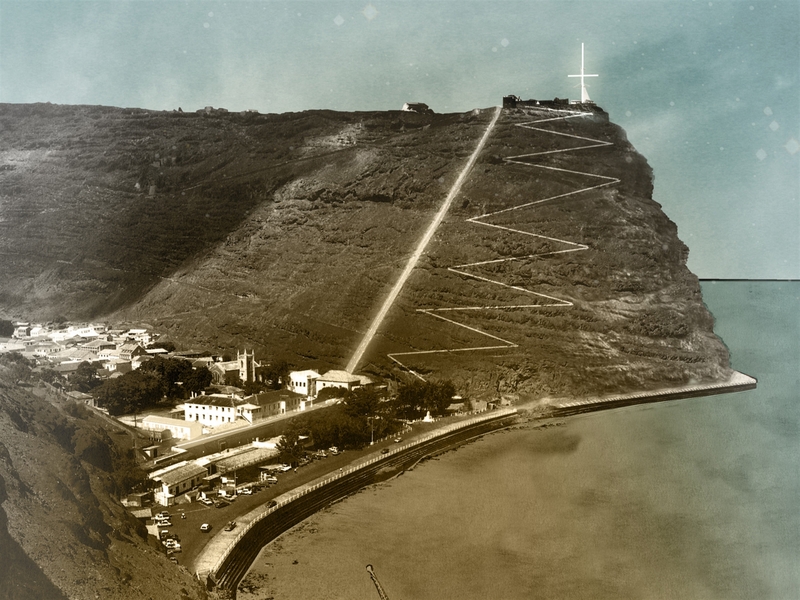 In January 2012 MWAI were selected by the St. Helenean Government to participate in a competition for the reuse of some of the island’s most important sites. The project proposes a new urban model that creates strong connections between the occupants and site specific community projects. In this case a series of community allotments are interspaced between the houses, falling within the ownership of individual tenants and the larger surrounding community. 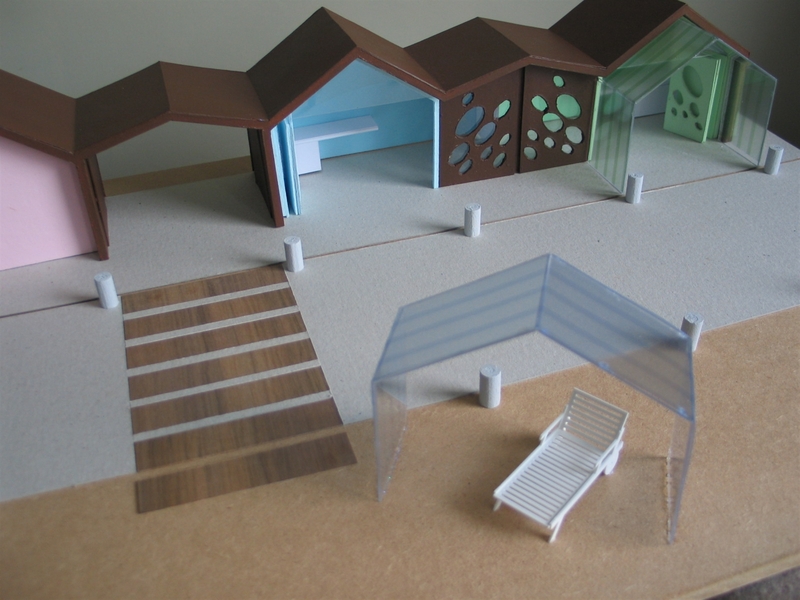 Competition entry for a series of new disabled access beach huts on Boscombe Beach, Bournemouth.